Please note: this course is no longer taking applicants for 2019/20. Mental health nursing is a constantly evolving field, with as many as one in four people experiencing a mental health issue each year. We'll help you to meet the challenges of effective mental health care provision. You'll gain practice experience in a wide range of in-patient and community settings, reflecting the diversity of mental health specialities. This could include acute psychiatry, child and adolescent mental health, forensic psychiatry, eating disorders, substance use and rehabilitation. Why Mental Health Nursing at LSBU? We have been delivering high quality, advanced nursing education for over 20 years. Success on this course makes you eligible to register as a mental health nurse with the Nursing and Midwifery Council (NMC). No.1 in the UK for graduate prospects in Nursing (Complete University Guide 2019). This module focuses on inter-professional learning and will explore leadership, quality improvement and change within organisations from an inter-professional perspective. The module will look at strategic, evidence based approaches to change management in a range of environments. It will integrate the perspectives of service users and take an inter-professional approach. The purpose of this module is to build upon learning and develop your practice skills and knowledge. You’ll continue to use safe, simulated environments, supervised placement experiences, and independent learning opportunities. The module will focus on the development and use of appropriate professional values with a stronger emphasis on becoming more analytical and reflective in your problem solving skills. Additionally you’ll be challenged to work towards developing effective clinical and communication skills to support practical care giving. The aim of this module is to develop knowledge and understanding of basic physiology and the application of biology in mental health. This module recognises that you may not have prior knowledge of physiology and biology. It will give a basic introduction to physiology. It will explore neurotransmitters and interactions of hormones in mental ill health. Interactions between physical and mental ill health will be explored. It will consider the basic principles of medicine management with an emphasis on clinical application. Responsibilities of the nurse in relation to the safe administration of medication in clinical practice, including competency with drug calculations will be explored. This module is designed to educate via a comprehensive analysis and guide/critical review of the field of psychopharmacology in order to prepare you as a safe competent practitioner. It will explore the clinical, practical and theoretical implications of this controversial area of mental health care. Special focus will be placed on learning the core knowledge required for risk assessment and safety management (for choice and levels of drug dosage and contra-indications), and emphasise on the need to take a service user/recovery focussed approach in working to deliver therapeutically focussed psychopharmacology. The purpose of this module is to prepare you to enhance your assessment and decision making skills whilst effectively managing care that promotes quality, health, safety, service user and staff wellbeing. You’ll be able to appraise your own learning and development needs as you approach the transition from student to registered practitioner. Human relationships and therapeutic encounters are central tenets of mental health and wellbeing. Understanding how to interact, engage, challenge and support people through their most vulnerable times is the aim of this module. Alongside understanding self, is the need to have knowledge and awareness of the many competing demands (of the individual, their community, the organisation etc.) within which these encounters take place. Many mental health care contexts and environments are highly emotive and demanding. Therefore preparing students to fully understand, engage and work within these areas to become proficient and resilient, authentic leaders and effective practitioners; this requires a level of competence in the theoretical application of knowledge and skills explored in this module. The purpose of this module is to consolidate and extend your knowledge of research approaches and methods and enhance your ability to be a critical user of research evidence. The module examines philosophical and theoretical perspectives underpinning health and social care research approaches including exploration of research design and key aspects of data gathering and interpretation of both qualitative and quantitative analyses. The module will develop practical skills for identifying, critical reviewing and synthesising research evidence relevant to professional practice. You'll be able to gain a Masters by completing a dissertation. Students who successfully complete the PgDip RN course have up to four years to complete the dissertation module via part-time study. This course will equip you with the skills to work in a diverse range of mental health nursing roles across a range of settings, including the NHS and the private health care sector. Successful completion of the course fulfils the requirements for graduates to be able to register with the Nursing and Midwifery Council (NMC) as a Registered Nurse - Mental Health. Recent graduates from this course have gone onto a range of nurse practitioner roles within mental health nursing. Day-to-day, the role broadly involves working in the community and hospitals taking on a variety of tasks – from giving patients medication, to assessing and supporting a patient's needs. With experience, there are multiple opportunities for specialisation as your career progresses – such as: alcohol or substance misuse, forensic psychology, psycho-therapeutic interventions or working with offenders. As a graduate from this course, you will be able to apply for further study at postgraduate level. Once you gain a significant level of professional practice experience, you will be able to consider our part-time MSc Cognitive Behaviour Therapy and MSc Mental Health Practice (Older People). Find out more about these courses through our online CPPD prospectus. This course is accredited by the Nursing and Midwifery Council, which regulates nurses and midwives in England, Wales, Scotland, Northern Ireland and the Islands. During the course you will spend 50% of your time involved in academic study and 50% in clinical practice within a broad variety of healthcare settings. A clinical practice placement allows you to put theory into practice by working with a range of health professionals in clinical situations to develop the skills, knowledge and experience required to become a competent nurse. Although sometimes initially challenging, practice learning is one of the most interesting and exciting aspects of learning to be a nurse. At LSBU you will experience a variety of clinical settings such as NHS acute Trusts, community placements, independent sector and voluntary sector organisations. Your first clinical placements are designed to introduce you to working in a professional setting and to develop essential care and basic assessment skills, infection control and learn about safeguarding vulnerable people. You will then build on this experience and take on more responsibility, progressing your clinical reasoning skills and begin to look after small groups of patients making confident, proactive decisions for their health and management with less supervision. Whilst in the clinical placement we ensure our nursing students receive continuous support and guidance from a dedicated mentor and practice learning teams made up of lecturers and practitioners. 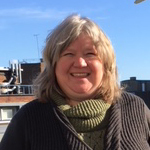 Lyn is working as part of the Peoples Academy at LSBU, which is a group of NHS citizens working to make a difference to services and staff. 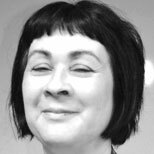 Jo Delrée is a Senior Lecturer in Mental Health and Learning Disabilities in the School of Health and Social Care. Nik Maroney teaches in the School of Health and Social Care at London South Bank University (LSBU). 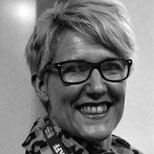 She teaches on the context of mental health, challenging presentations and clinical skills. You will be taught by lecturers trained in CAT, CBT, DBT, mindfulness-based Cognitive Therapy, Psychodynamic Counselling and Open Dialogue. You will be introduced and given a good grounding in a range of bio-psycho-social interventions and the latest cutting edge treatment approaches used in the NHS. You will have appointments with your personal tutor after each placement for 30 minutes throughout your course. You can contact your tutor for additional support or to arrange meetings by email. A Bachelor degree with a minimum 2:2 classification. Candidates without a health or science related degree are required to complete a Life Sciences work book package to satisfy the Life Sciences element of the APL portfolio. In accordance with the Nursing and Midwifery Council (NMC) requirements, Maths and English GCSEs/equivalent (at C or above) are also required. Personal qualities and values in line with those expected by the NHS constitution. All applicants are required to make an APL claim. You may apply for APL through both certificated learning and the production of a portfolio to demonstrate achievement of programme outcomes for the programme you have applied for through experience. If you are offered a place on the course you'll be provided with guidance notes to assist you in constructing this. As part of the selection process you'll be expected to attend an MMI interview. Find out more. If offered a place, you must successfully complete both a Disclosure Barring Service (DBS) and occupational health check, and provide proof of ordinary residency requirements and satisfactory references. A valid passport is required for enrolment purposes. Although this is a postgraduate course, all students apply to the Universities and Colleges Admissions Service (UCAS). Full details of how to do this are supplied on our How to apply webpage for undergraduate students. When making your UCAS application you will need to apply for your chosen field of nursing practice. Book your time with one of our specialist Postgraduate Advisors. Over a one on one Advice Session they'll advise you on postgraduate degrees at LSBU that match your interests and experience. And when you're ready to apply join one of our Postgraduate Application Sessions. There, we take small groups of up to four people through the application process. Look online for the next of our Advice Sessions or Postgraduate Application Sessions. 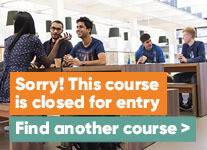 Please note that this course is not currently open to international students. The University reserves the right to increase its fees in line with changes to legislation, regulation and any governmental guidance or decisions. The fees for international students are reviewed annually and, additionally, the University reserves the right to increase tuition fees in line with the RPIX measure of inflation up to 4 per cent. For more information please read our DBS FAQs.